You could be forgiven for taking one look at the Chevrolet Corvette Grand Sport, new for 2017, and mistaking it for the old American muscle stereotype—big engine, high speeds, loud noise, not much else. 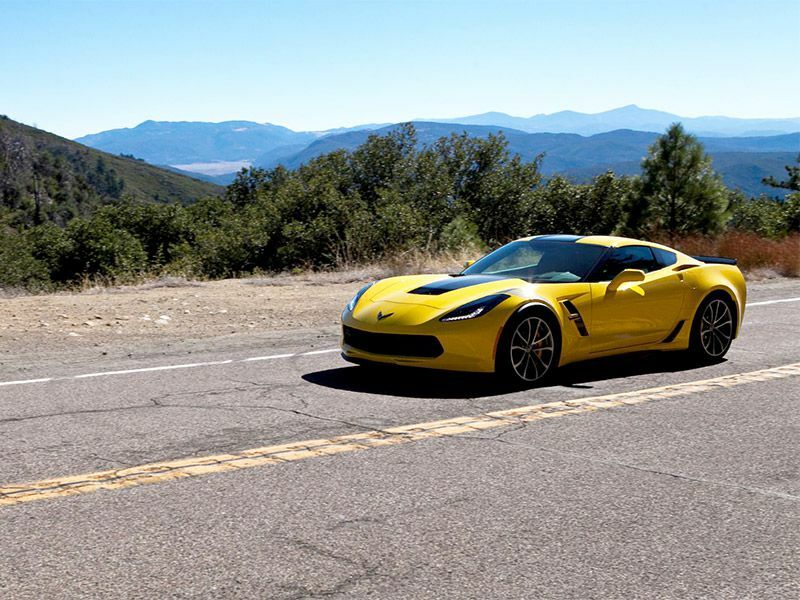 But General Motors has taken giant leaps forward with the Corvette in recent years, and the Grand Sport reaches a new level of across-the-board performance. Gone are the days when Corvette interiors were likened to cheap diner booths and the Queen Mary was more nimble around a corner. This version of the high-powered American missile is much more interested in balance, agile handling, and weight distribution than outright drag strip speeds. The 2017 Corvette Grand Sport isn’t the fastest Corvette ever made, but it may be the purest sports car in its 60-year history. The Grand Sport designation harkens all the way back to 1963, when General Motors engineers built five lightweight models named the Grand Sport that would finally topple Carroll Shelby’s Cobras on the track. So any Vette carrying the Grand Sport name has a little extra performance pedigree baked into its DNA. With the 2017 Grand Sport, that means goodies like slotted brake rotors, an electronic limited-slip differential, and a performance suspension with Magnetic Ride Control are all standard equipment. 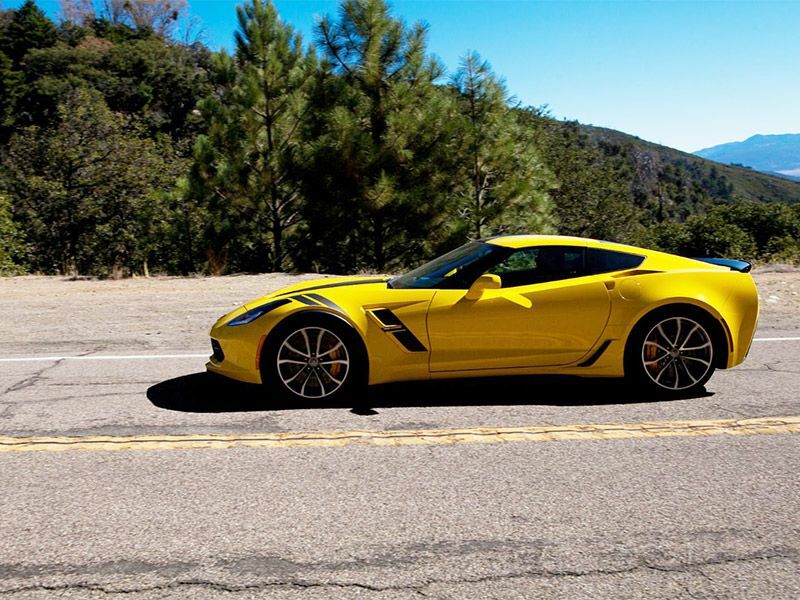 These incremental upgrades combine to bring considerable juice to an already potent platform that has been wowing people since the debut of the C7 Corvette Stingray in 2013. In addition to mechanical parts, the Grand Sport also stands out with custom paint and striping options, plus the widebody design from its Z06 big brother. The Corvette Grand Sport takes on a sinister persona thanks to its exterior tweaks. The wide front fascia is adopted from the Z06, as are the side sills and rear hindquarters topped by intakes that feed cool air into the differential. A black NASCAR-style spoiler sits atop the rear deck for added downforce, and intakes placed just ahead of the rear wheels add menacing hints at the potential lying underneath. Maybe it was the Corvette Racing Yellow paint combined with black hash marks and black center stripe on my test vehicle, but the extra bits included on the Grand Sport lend it extra presence and can’t help but attract stares. 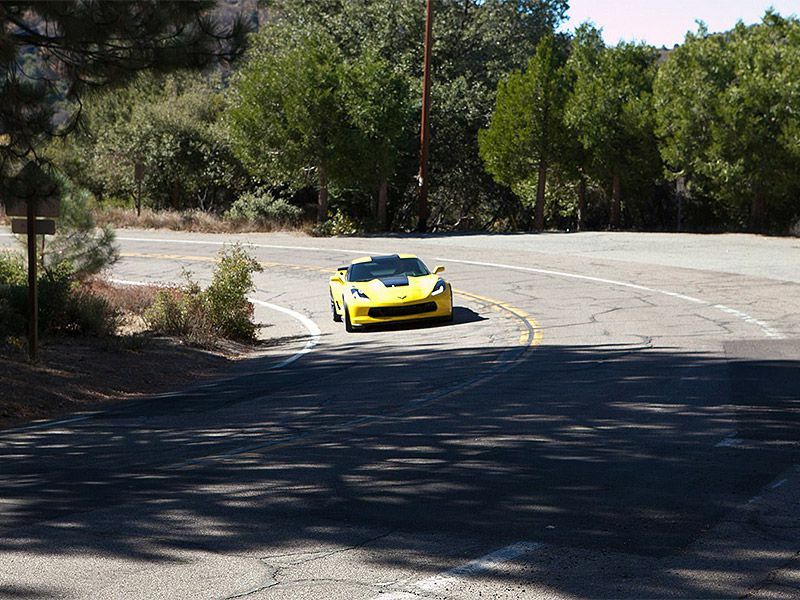 You can feel the car turning people into Corvette fans as their fields of vision turn to follow you down the street. 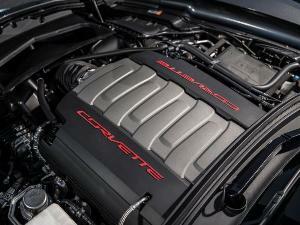 By now it’s common knowledge that GM has stepped up the interior of the Chevrolet Corvette by leaps and bounds. The new 2017 Corvette Grand Sport continues the trend. The cabin is highlighted by a flat-bottom steering wheel and 8-way power-adjustable leather bucket seats. To take the experience to another level, Competition Sport Seats are available for $2495. They are heated and cooled, supremely comfortable and supportive, and look absolutely stunning. They also punctuate an interior designed to accentuate the car’s performance. Soft-touch surfaces and inspired lines grace the dash and door panels, while crystal-clear digital gauges command your attention. Should one opt for the 3LT Preferred Equipment Group ($9745), surfaces will be blessed with additional sueded microfiber and napa leather. 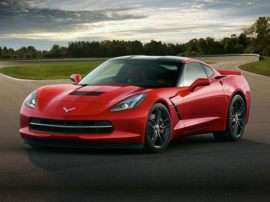 Start up the 2017 Corvette Grand Sport and the 6.2-liter LT1 V8 engine begs to be wrung out. The powerplant is more advanced than it may initially seem, with both direct injection and variable valve timing to improve both throttle response and efficiency. 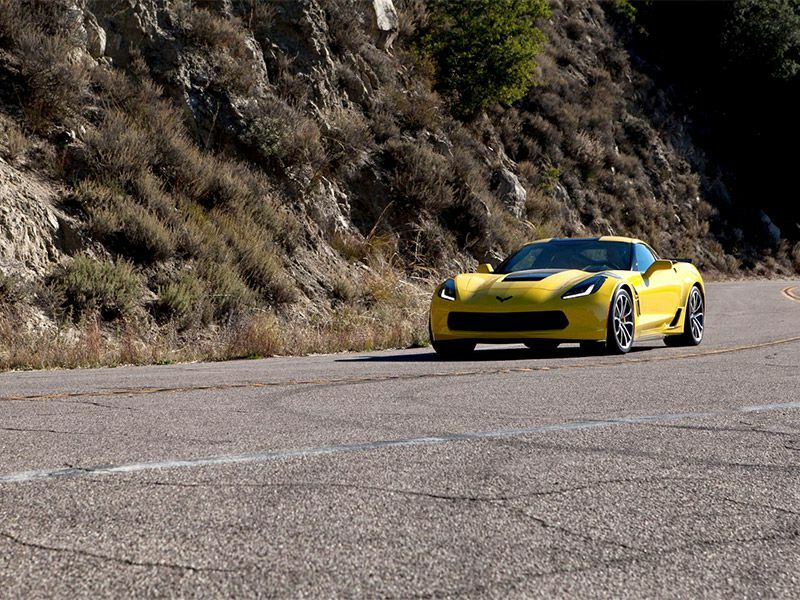 It also boasts cylinder deactivation to effectively turn into a 4-banger while cruising, making the Corvette capable of a 25 MPG EPA fuel economy rating on the highway. The point of the Grand Sport, though, is to push it. Push it good. 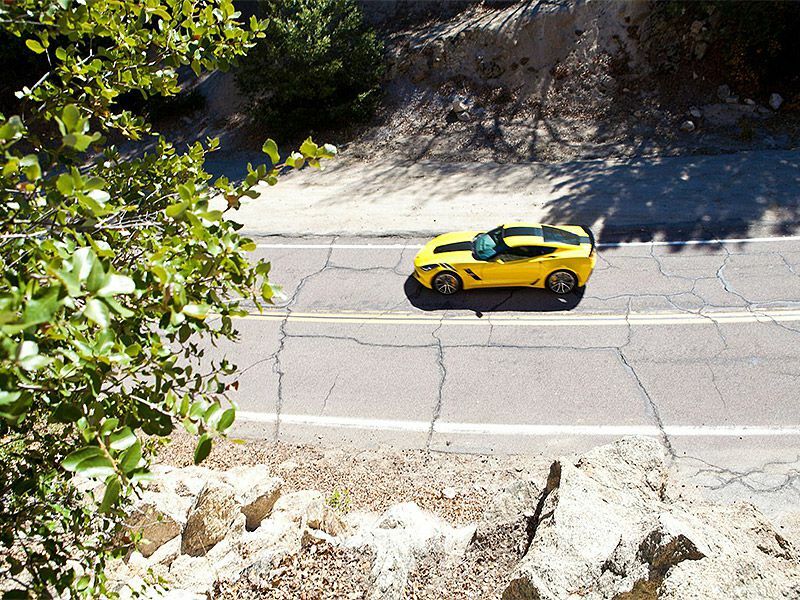 The joy of barreling out of a mountain bend in second gear and flooring the throttle, sending a 460-horsepower blizzard into the rear tires, then throwing the shifter into third, and fourth, and fifth before jumping on the brakes for another hairpin—it’s nothing short of addictive. If you can believe it, the engine isn’t the star of the show. 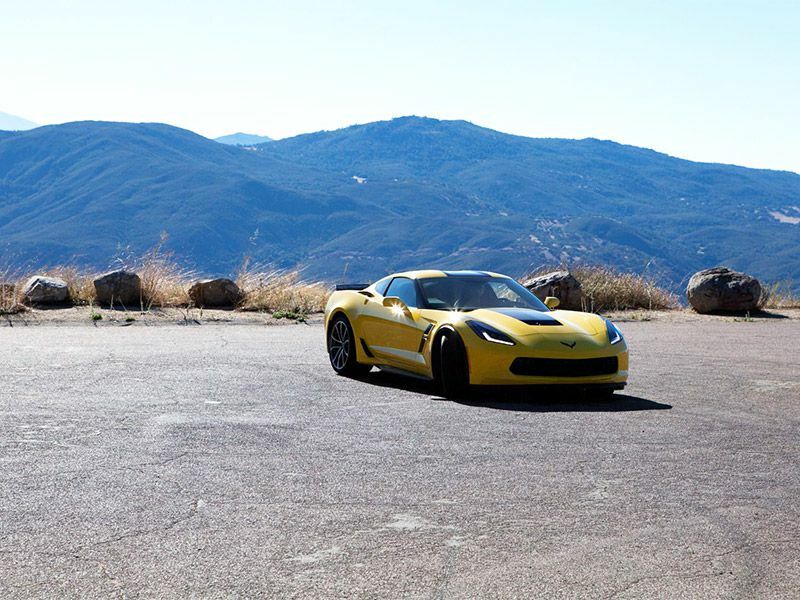 The Corvette Grand Sport essentially pairs the base V8 engine from the Corvette Stingray with the heavy duty suspension and added downforce from the mighty Z06. The Grand Sport can reach 1.2G of cornering force on a skidpad, and even my mountain drives topped 1.0G more than once. Magnetic Ride Control deserves tons of credit, effectively giving the car a physics-defying level of grip. It allows the Grand Sport to put power down almost anywhere. My tester included razor-sharp Brembo carbon ceramic-matrix brakes, Michelin Pilot Sport Cup 2 tires, and the Z07 suspension (packaged for $7995). The 7-speed manual gearbox has Rev Matching paddles behind the steering wheel, sending jolts of ecstasy through your spine with each successive downshift. Hop inside a Corvette Grand Sport and there’s plenty of technology available at your fingertips: an 8-inch color touchscreen; 4G LTE hotspot; even performance data and video recorder for track runs. The tech that I used most was the simplest—a head-up display perfectly positioned between bulges in the hood that helps you stay aware of your speed, G-forces and directions without looking away from the road. The touchscreen was relatively simple to use, and pairing smartphones was easy. Besides Android Auto/Apply CarPlay, this Vette has the premium Bose audio system, which I wish packed a little more oomph. 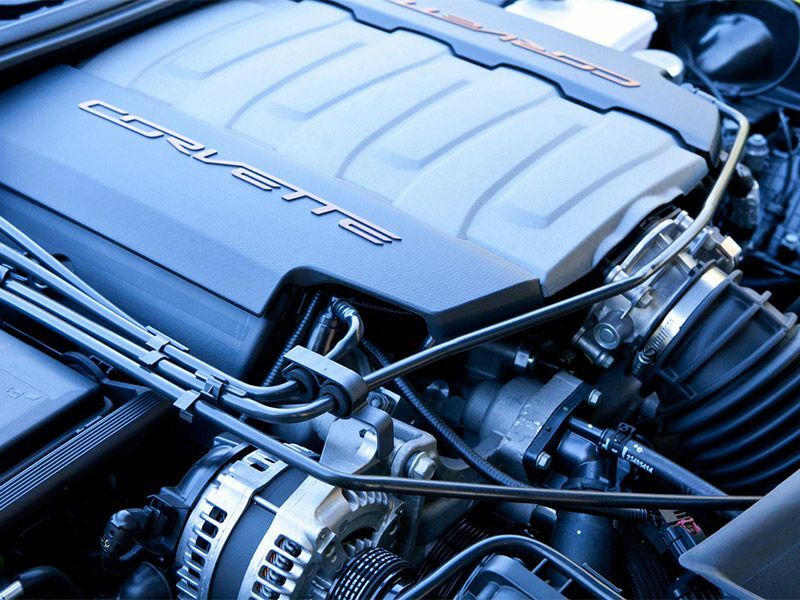 Of course, you can always sit back and enjoy the real Grand Sport technology: the LT1 engine paired with Magnetic Ride Control that works even—maybe especially well—when cell reception doesn’t. 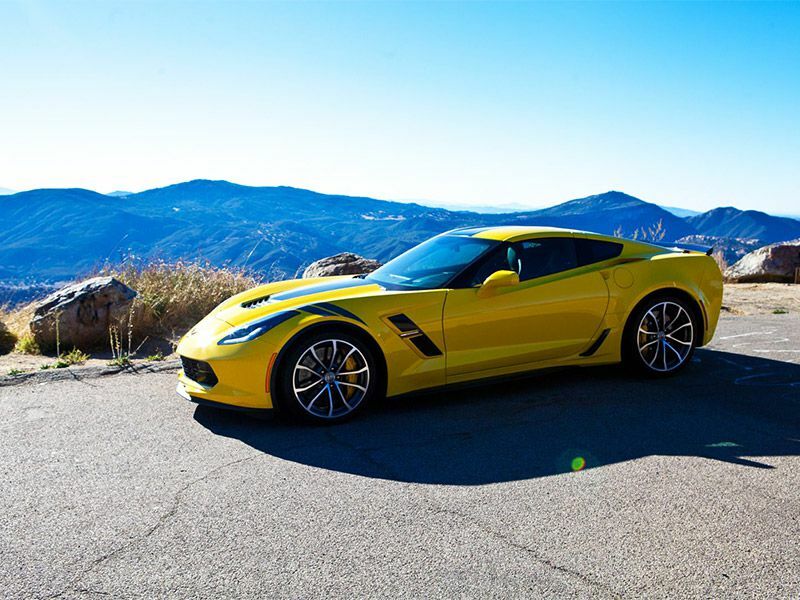 The C7 Corvette hasn't been subjected to the usual battery of crash tests, but GM covers the 2017 Corvette Grand Sport with a drivetrain warranty and roadside assistance for five years or 60,000 miles. 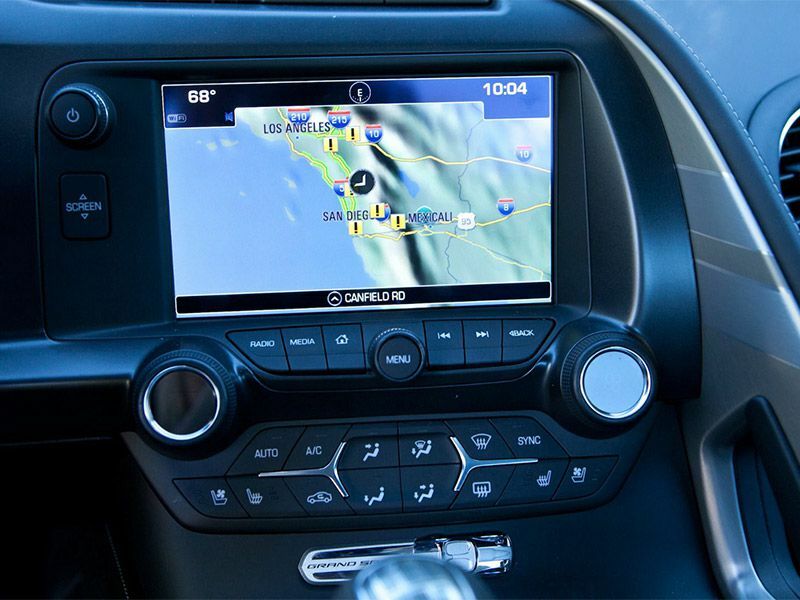 A 5-year basic Onstar plan comes standard, along with features like active handling stability and a rearview camera. However, the most thrilling, and perhaps best overall, safety feature is the set of four slotted 14.6-inch disc brakes that comes with the Grand Sport package. Taking things to another level, the 15.5-inch Brembo carbon-ceramic rotors wrapped in PS Cup 2 rubber provide face-melting stopping power with bear-trap snap. 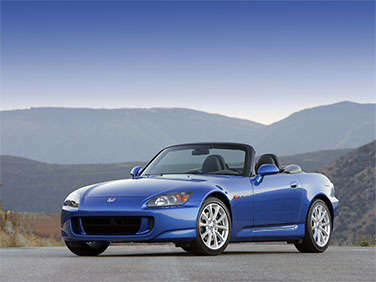 The steering, while not quite Boxster-direct, is firm and quick enough to react in a flash. The 2017 Chevrolet Corvette Grand Sport starts at $65,450. 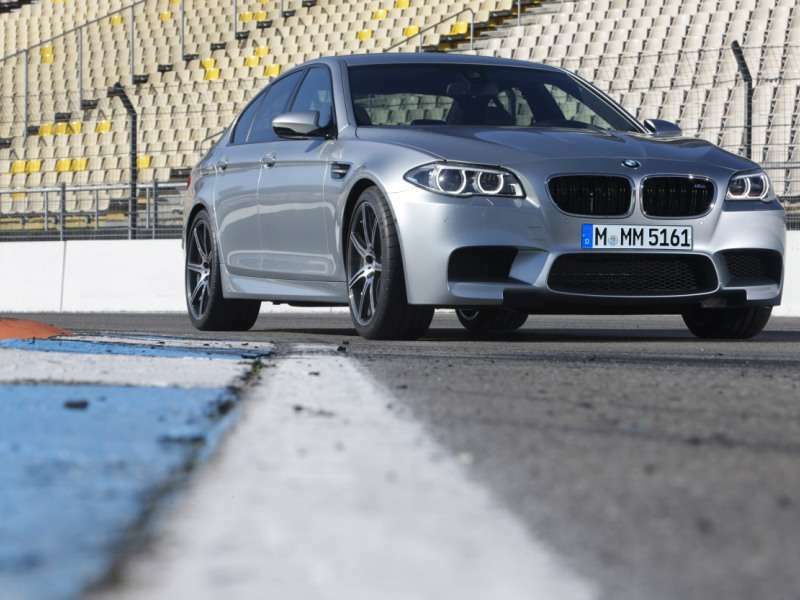 Let me put this another way: A road car capable of 1.2G and 0–60 mph runs under 4 seconds can be purchased for the price of a nice Chevy Tahoe. Of course, if you’re going to bypass the Corvette Stingray for the Grand Sport, you ought to tack on performance extras, but even then, this fully loaded tester came to $91,655 including taxes and destination. That’s less than the base price of a Nissan GT-R, Dodge Viper GTS, or Porsche 911 Carrera S. The options, from least to most necessary: 3LT interior package ($9745), competition sport seats ($2495), Z07 Ultimate Performance Package ($7995) and Grand Sport heritage stripes ($795). Come on—you know you want the stripes. This is a golden age for performance. The Corvette Grand Sport falls into this interesting gap between sports cars and supercars that’s producing some intense competition. On one end of the spectrum you have cars like the Porsche Boxster and Cayman, scalpels to the Corvette’s blunt-force cleaver. The Dodge Challenger SRT Hellcat is way more force with way less footwork, while the Jaguar F-TYPE and Maserati Gran Turismo are all of the show without the track bona fides. The closest real competitor may be the newly released Lotus Evora 400, but there will be so few of them that at $93,000 Corvette Grand Sport looks like an everyman’s car. And compared to this list, it kind of is. 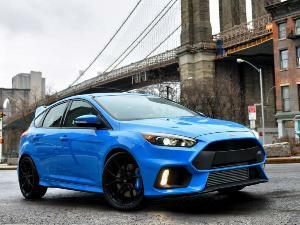 An every man’s car that can finally meet any desire. General Motors will probably produce too many of the Chevrolet Corvette Grand Sport for it to reach true classic status, but it could very well become a textbook sleeper. 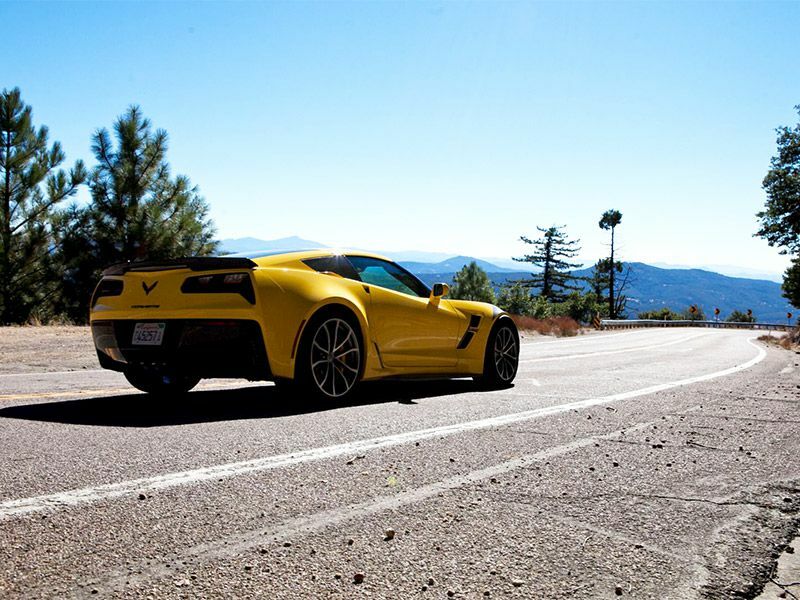 Years from now, buyers may be hunting for Grand Sports with the Z07 Ultimate Performance Package, which is essentially a Z06 that flies under the radar without a supercharger. 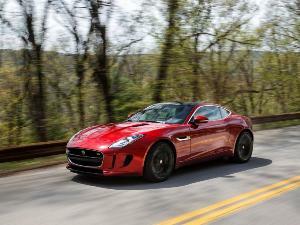 What it does have is lighter weight, sharper handling and balance, and plenty of power—460 horsepower and 465 lb.-ft of torque are nothing to sneeze at, remember. Magnetic Ride Control simply works wonders on the Grand Sport, especially in conjunction with its other lightweight and track-focused accessories. That’s a recipe for a whole lot of fun, no matter the era, and it makes the Corvette Grand Sport an intriguing value fresh off the dealer lot, too.